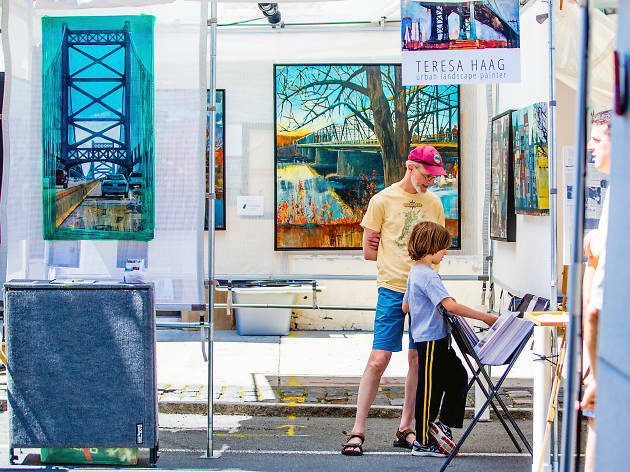 The largest outdoor, juried arts festival in the tristate area happens in Manayunk and is attended by nearly 200,000 members of the art world, ranging from designers to collectors. 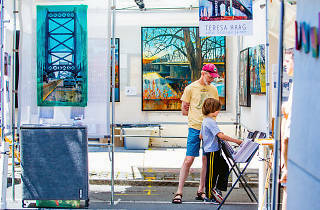 The show takes place over two days, with fine arts and crafts artisans lining Main Street with booths for you to peruse. Look out for a large variety of browse-worthy media, including wood and sculpture, glass and ceramics, painting and drawing, jewelry, photography and fiber. Besides all the art, several restaurants and shops along Main Street bring tables and wares out onto the sidewalks for al fresco dining and even more chances to shop.